Public Sales Welcome Yes, we sell puppies and adult dogs to the public and to security dog handlers. 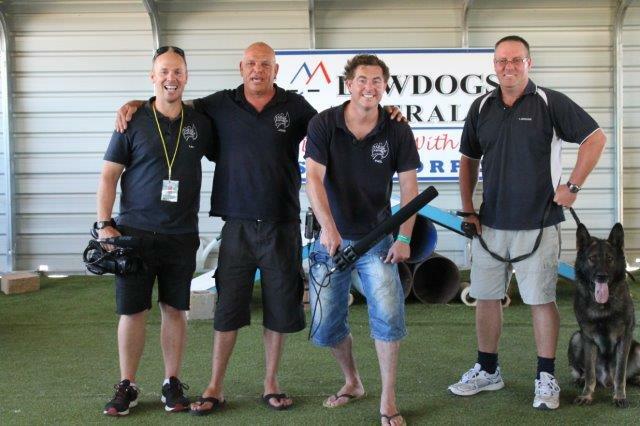 Professional Business We are one of a few council licensed breeding and training kennels in Australia, backed by a registered company and licensed business. We encourage viewing and testing prior to purchasing a dog from us and we will disclose all known information about the dog to you. You can expect from us paperwork proving the vaccination from a vet, micro chipping transfer, an information pack, food starter kit and an invoice. We use mobile microchip scanning devices when dogs arrive or leave to prove compliance with relevant legislation. We ask that potential customers discuss with us their intended use for a dog and we will try and match a dog or puppy for their situation. Our own breeding program exceed the requirements for Dogs Queensland health testing with both required and further voluntary testing performed on our breeding stock. We encourage our clients with non registered pedigree dogs to do the same checks as per the guidelines in the Pet Shop Accord. We have EFTPOS available in our gift shop and can process payments over the phone for interstate buyers. Deliveries can be arranged Australia wide by negotiation and at buyers expense. Puppy Imprinting Our puppy imprinting services means some young dogs are available with the hard work already done, including medical expenses. We will assist at handover for new owners to learn commands and continue the training at home. After Sales Service We offer security dog handler clients assistance with dogs purchased including ongoing training and advice if required. 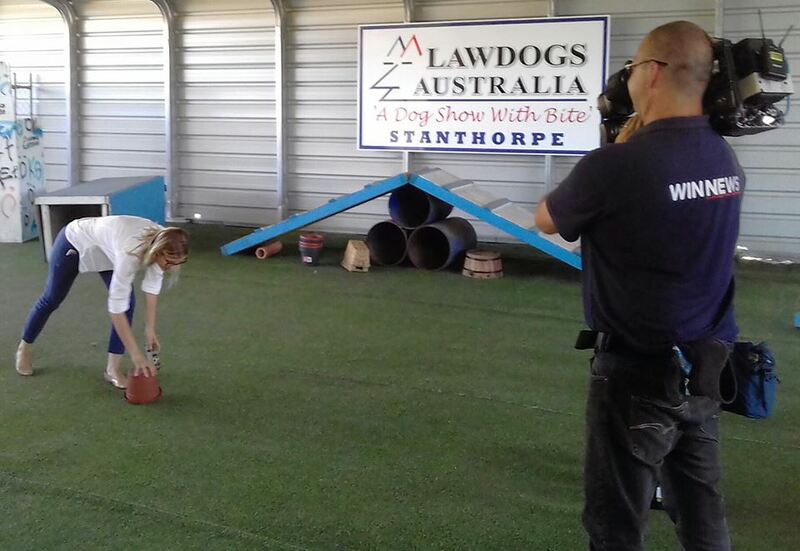 Proofing Here at Lawdogs Australia we train our own dogs. Our dogs are often in our public shows. "Jessie is a perfect dog for our situation. Thank you for your honesty with the personality of the dog we were buying and also with your pre and post sale advice. 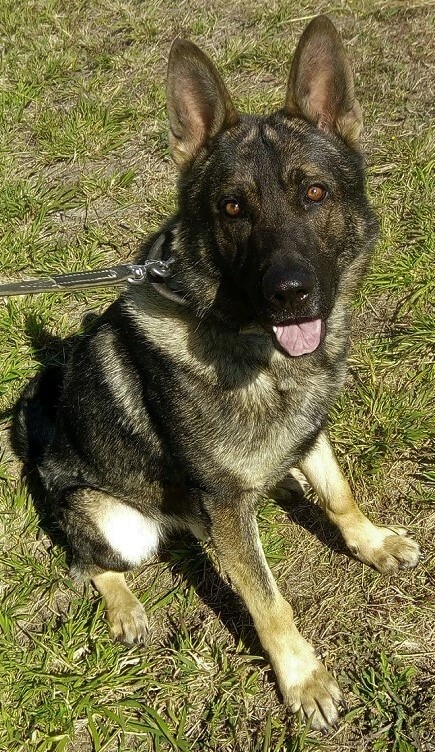 She is a beautiful dog" - PW, Queensland. There Is No Such Thing As A Perfect Dog - But Every Dog Is Perfect For A Situation. This Page Is Updated Most Days However Please Feel Free To Call Us With Your Requirements. Father 45 KG black sable, protection trained, agility trained, patrol level dog, high drives, moderate aggression, solid bite, excellent hip and elbow scores. Hips 3, Elbows 0. Mother 30 KG Sable working bloodline breeder, moderate aggression and drives, proven bloodlines, good health checks. Hip Score 4, Elbows 0. Bloodlines in this pairing include Alpinebase, Monsimbee and Voneisenbark. We anticipate this litter to have a mixture of moderate drive puppies suitable home guard dog roles. Delivery can be arranged Australia wide at buyers expense. Inquiries are welcome by PHONE during BUSINESS hours from GENUINE buyers. APEX DOGS JUSTICE - Hips 0, Elbows 0, Clear DM, 50kg Sable trained in protection and patrol ready. Frozen material. APEX DOGS BANDIT - Hips 4, Elbows 0, 40kg Bi Colour trained in protection and patrol ready. Fresh material. MINDFREAK BLADE - Hips 6, Elbows 1, 45kg Black previously trained in protection. Frozen Material. HUNTERBASE ITALLO - Hips 3, Elbows 0, 45kg Sable trained in protection. Very powerful high drive dog with insane bite and hard nerve. Excellent for new puppy owners doing crate training, transport in cars safely, visiting the vet or camping. Individual pack buys attracts a postage fee - contact for details.